While my trip to Malacca was mainly to experience the new Firefly flight from Subang (click here for my review on the flight), the 4 hours of layover before my flight back to Subang allows me to do some quick sightseeing. 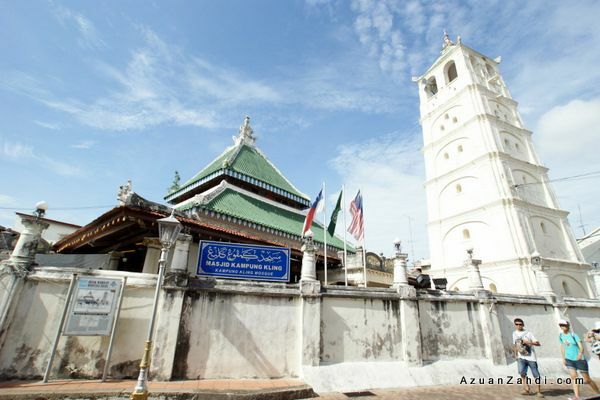 Instead of just waiting at the airport, I braved Malacca’s traffic to get to Jonker Walk and Bandar Hilir area to check out some of Malacca’s most famous tourist attractions. The taxi driver who drove me from the airport dropped me at the Dutch Square, right in the centre of the tourist attractions, in front of the famous Christ Church. This unique red-color church was completed in 1753 and follows an extremely simple design of a typical church with Dutch architecture. 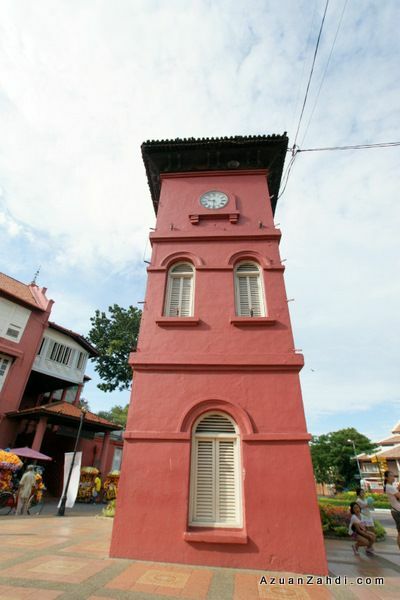 Also at the Dutch Square is theTan Beng Swee Clock Tower, a clock tower built by the third generation of a Chinese philanthropic millionaire family. 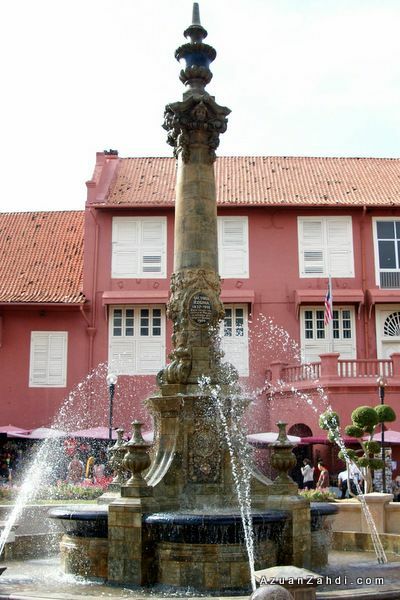 Queen Victoria Fountain – built in 1901 by the British to commemorate the Diamond Jubilee of Queen Victoria. 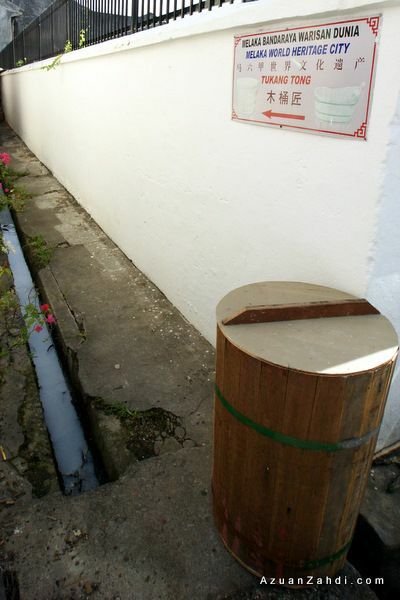 From Jalan Gereja, many of other tourist attractions are within walking distance. 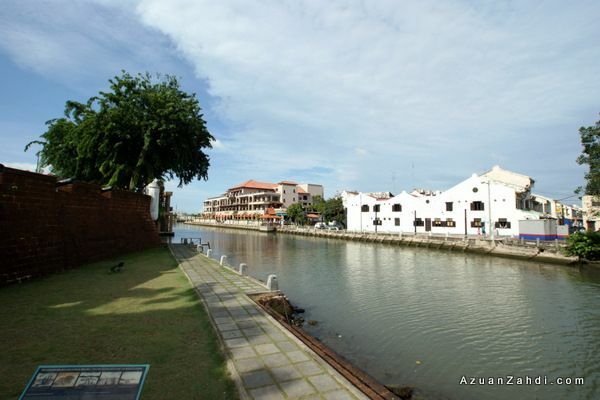 Malacca River – now famous for its river cruise. 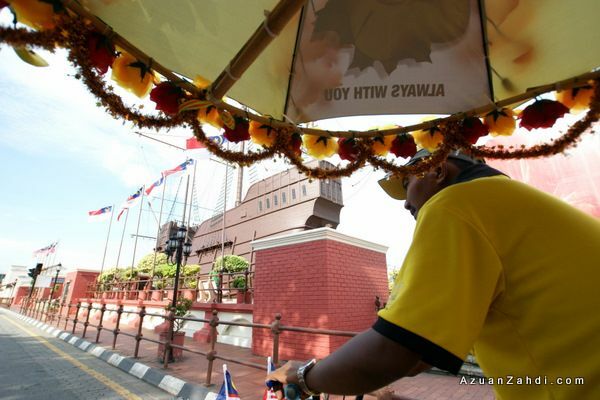 Hats off to the Malacca authorities who successfully transformed the river into a tourist attractions. 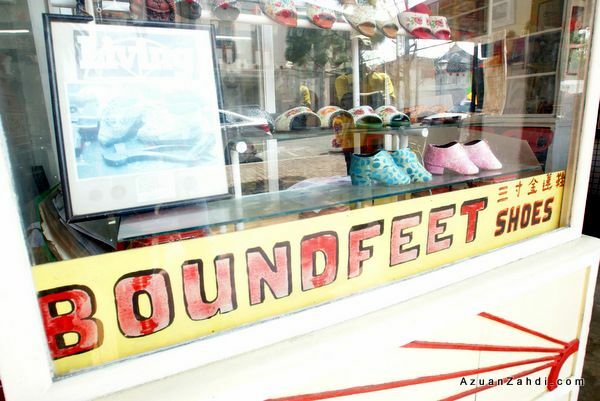 Something that other states can learn from? My initial plan was to go by foot around the area, that’s the best way to explore every single site in and out. …and someone that can snap photos of me! 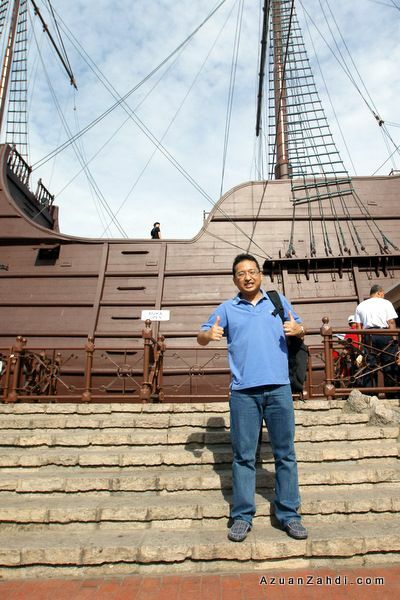 This is me standing in front of a model of an old ship that was used hundreds of years ago. 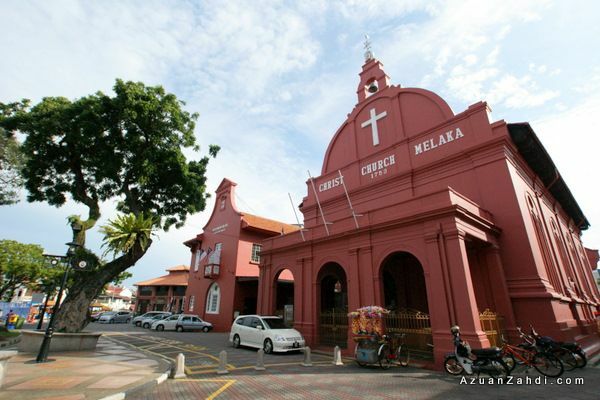 Melaka was an important trading port due to its location on the Straits. 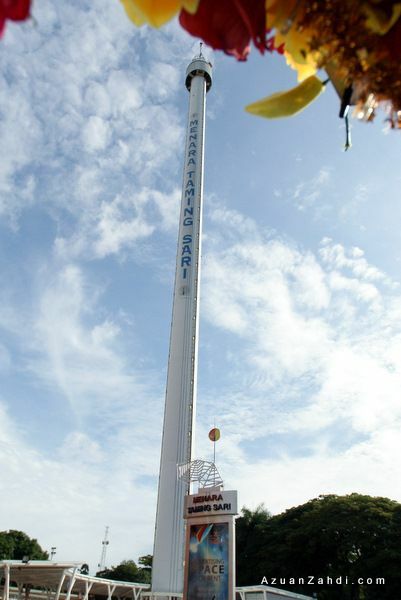 Menara Taming Sari, a 110m tall tower that provides visitors a 360 degree panoramic view of Malacca. A pleasant surprise when out of nowhere my eyes caught this lovely old plane! 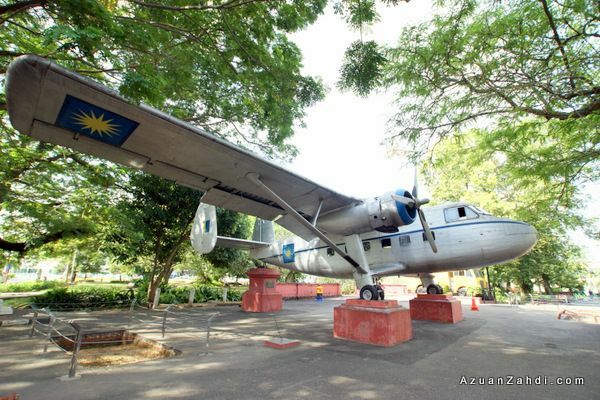 A Twin Pioneer Mk.1 “Lang Rajawali” (FM1064 c/n:583) on display at the Melaka Transport Museum! 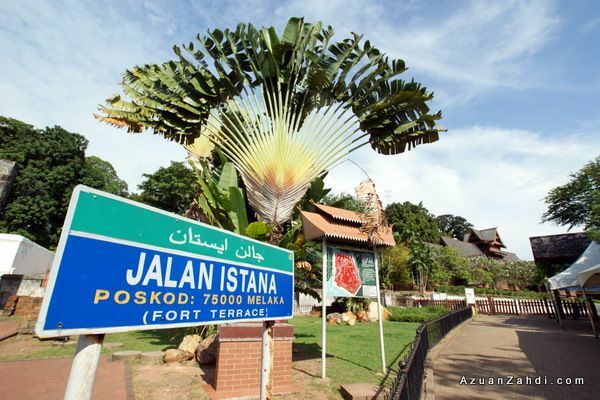 My personal tour guide also showed me a pokok Melaka and buah Melaka right in front of the plane. I swear I would never notice the tree without the help of a tour guide. 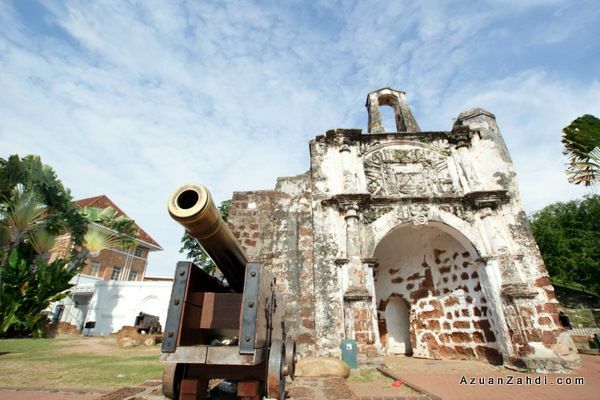 Next stop, Porta de Santiago or better known as the A Famosa – a Portuguese fortress built in 1511! 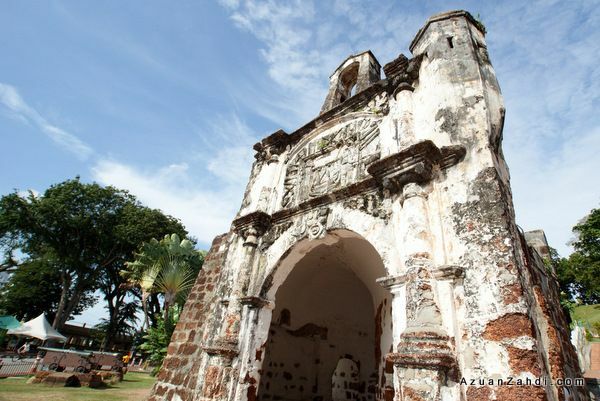 The Porta de Santiago, a small gate house, is the only remaining part of the fortress still standing. The Fort Terrace is a good place to spend some time admiring the surrounding sights. 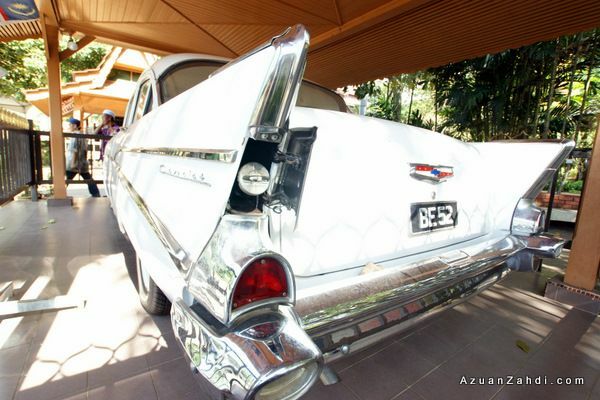 BE52– the car which carried Allahyarham Tunku Abdul Rahman for the proclamation of independence from the British rule at 1957. This car is kept at good condition until today. 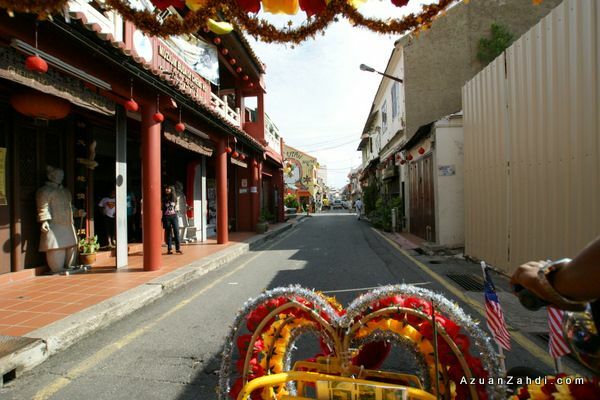 Next stop, Jonker walk – the perfect place for street photoshoot! 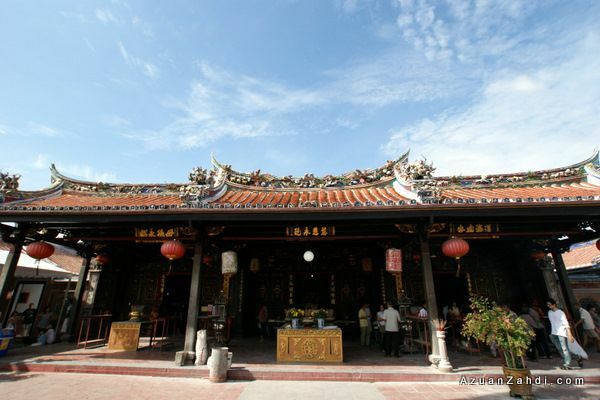 One of the Chinese temples. 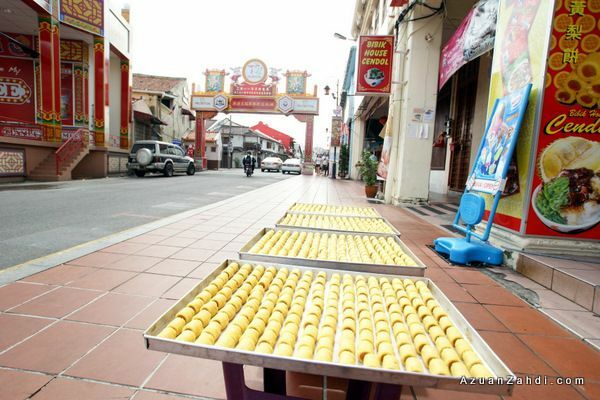 Malacca especially Jonker Walk is famous for its Pineapple tart. 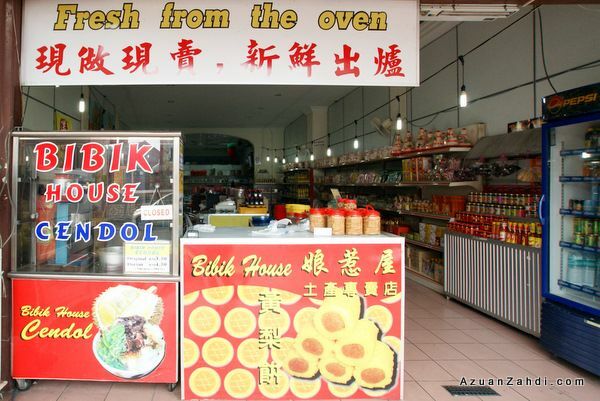 Taking the recommendations from my guide, we stopped at this shop for a dose of Melaka Cendol Durian which is another signature dish of Jonker Walk. One last stop, the museum. 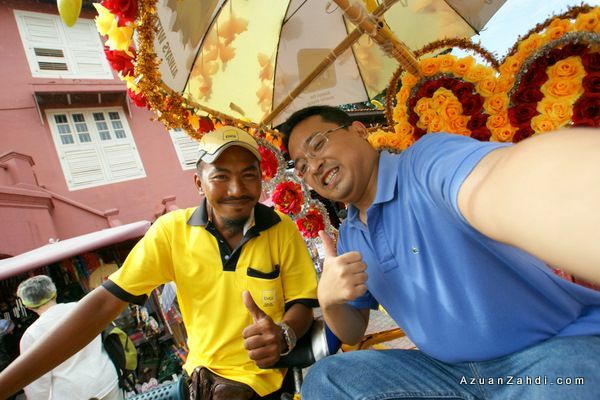 One last photo, thank you abang beca! 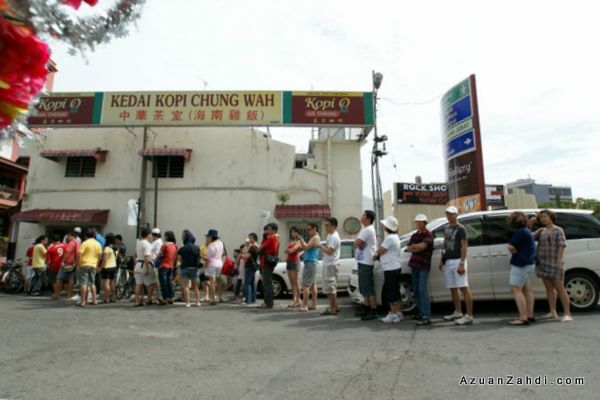 Malacca is a great place not only for foreigners but also Malaysians. I managed to only visit a small portion of the city within my 4 hours trip but I’ll definitely return for more. 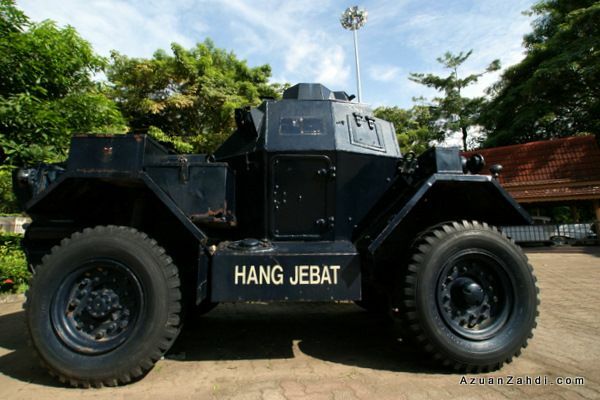 Afterall It’s only 2 hours drive or a 25-minutes flight from Subang. Firefly Airlines / Melaka Air flies twice weekly (Monday & Frieday) between Subang-Melaka and Medan-Melaka. Check out my review on the flight here. Click Here for My Other TRAVEL STORIES. 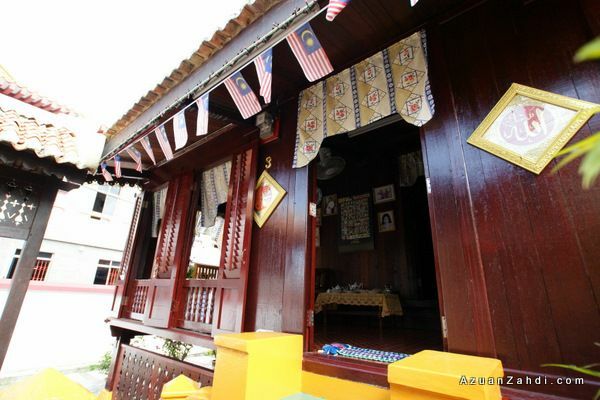 Fancy for a trip to Malacca or any other places in Malaysia but not sure where to stay? Check out AGODA’s website (click the banner below) for a one-stop comparison of all hotels from budget to 5-star. I am personally an AGODA fan and have saved a lot on my accommodation cost for my travels. 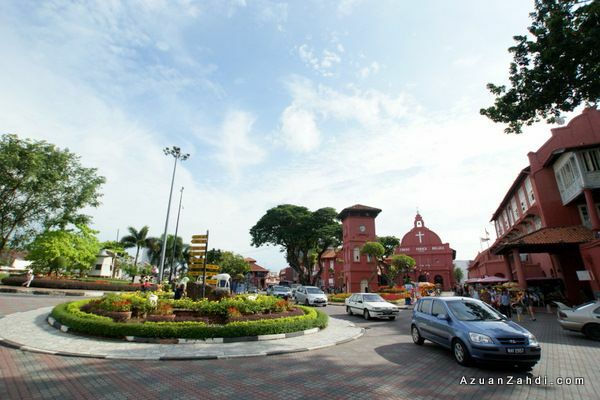 Have been to malacca for a few times already and i must say, the city is one of my favourite places to take photos! sebab background dia tersangat sangat la AWESOME! 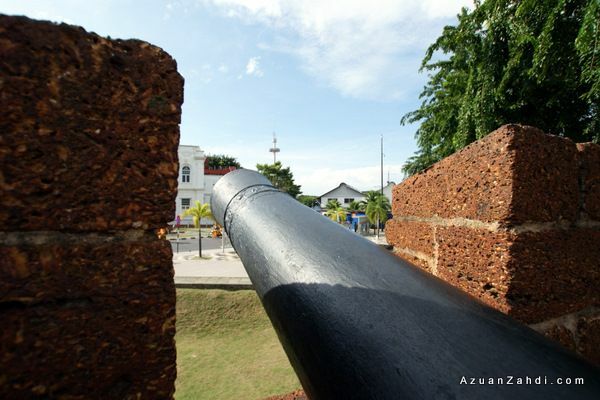 What a coincidence, I was blogging about Malacca too after my visit and you stopped by! 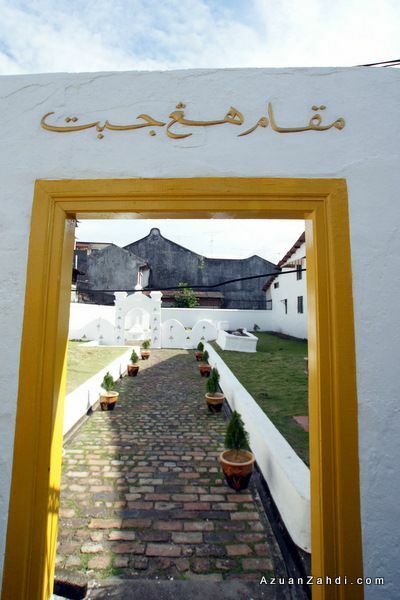 Malacca does rock, doesn’t she? Nice pictures you have taken. And you covered so much ground in four hours! True that having a guide is a big help. 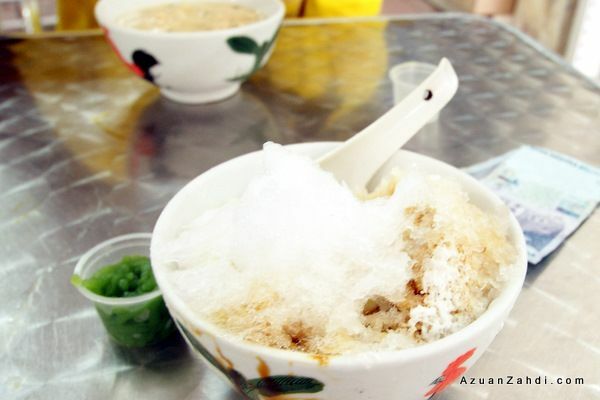 That Malacca fruit is interesting. 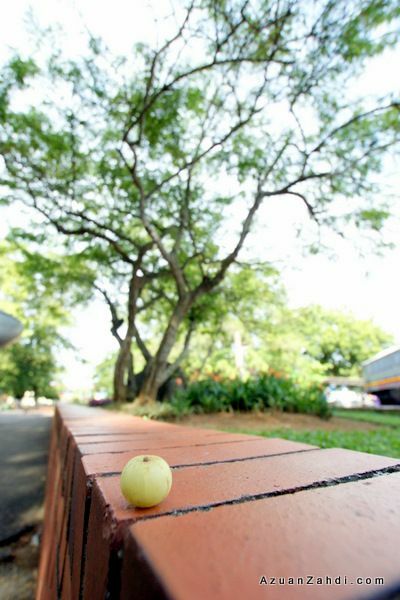 I once took some pictures of some fruits on a short tree and were wondering as to what fruits they are. Come to think of it, they do look quite like the one you have here but are light green in color. 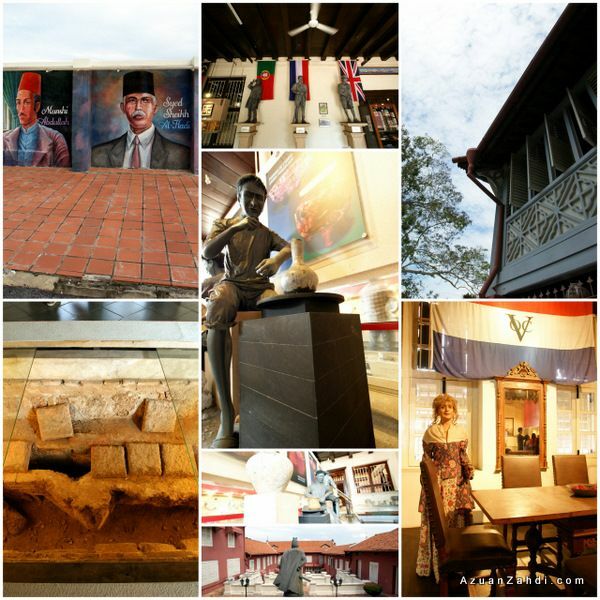 I have recently returned from Melaka and I must say I loved its quaintness and trading history. Hi, Just would like to know, how much does a trishaw ride cost for about 3-4hours, and are they able to access streets closed to motor vehicles? I hope to board one at Melaka Sentral, or would I have better/cheaper rates if I take Bus #17 in first, and then pick one? Or should I just walk it out? 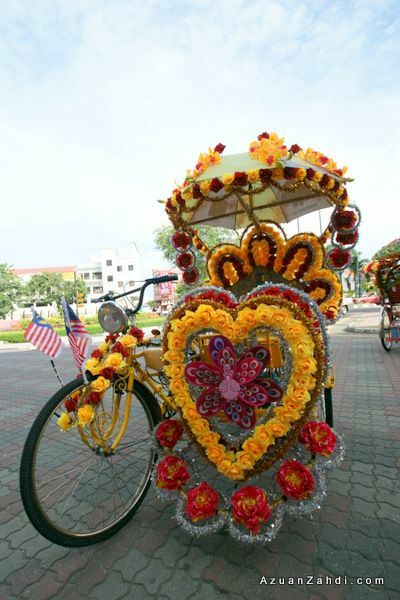 How much did your trishaw ride cost, and is it cheaper to start from the city, or get on one at Melaka Sentral?